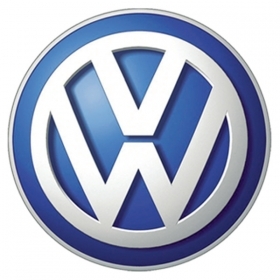 DETROIT (Bloomberg) -- Volkswagen AG plans to announce a new U.S. chief executive officer today to replace Stefan Jacoby, putting an end to a 2 1/2 month leadership vacuum at the division. Jonathan Browning, a former General Motors Co. executive who joined VW in June, will be named CEO, said a person with knowledge of the matter who asked not to be identified before an official release. Stefan Ohletz, a VW spokesman declined to comment. 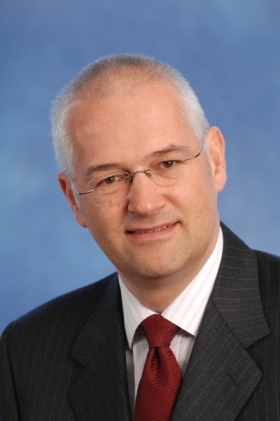 Browning, 51, was hired by VW in June to improve coordination of the carmaker's international sales companies. He was previously vice president of global sales, service and marketing at GM. Browning's appointment coincides with the final phase of the introduction of a new Jetta compact, VW's best-selling American model. VW is preparing to open a factory in Tennessee and present its first car built exclusively for the U.S. market. Volkswagen is heading for an eighth annual loss in the U.S. Reviving revenue and profit there is essential to CEO Martin Winterkorn's goal of surpassing Toyota Motor Corp. in size and profitability by 2018. He also wants to almost triple VW's share of the U.S. market to 6 percent by 2018 and boost deliveries to 1 million, including the Audi luxury unit. “The U.S. is one of the key aspects of Volkswagen's strategy going forward,” said Mike Tyndall, a London-based automotive specialist at Nomura Securities. “It's a market that's been underperforming and that they need to crack. It doesn't surprise me that they are choosing someone with U.S. experience,” he said. Browning is a former chairman of GM's U.K.-based Vauxhall division and was the chief of Jaguar under Ford Motor Co. He worked for GM from 1981 to 1997 and returned to the Detroit automaker in 2001 after his stint at Ford. Browning must boost VW sales in the U.S.
Christian Klingler, the VW board member in charge of sales, will announce the new U.S. CEO at the National Press Club in Washington at 11 a.m. local time today, according to an e-mailed invitation from Volkswagen Group of America Inc.
VW unexpectedly named Mark Barnes and Michael Lohscheller on June 24 to run the U.S. operations on an interim basis, saying at the time it was holding contract talks with Jacoby. Jacoby, a VW veteran of 25 years, last month took over as CEO of Volvo Cars, the Swedish automaker that's now owned by China's Zhejiang Geely Holding Group Co.
Next month, VW will start selling a new Jetta, VW's first model altered specifically for the U.S. market. In the first eight months, VW boosted U.S. deliveries by 21 percent to 172,747. Jetta sales increased 6.6 percent to 76,338 cars, accounting for 44 percent of the total. Other models that posted gains included the Tiguan, Passat CC and Rabbit. Browning will also have to capitalize on VW's $1 billion plant in Chattanooga, Tennessee, scheduled to begin production in the third quarter of 2011, and lift sales by designing more models for the U.S.
By 2013, VW wants 85 percent of vehicles sold in the U.S. to be produced in Chattanooga and in an existing factory in Puebla, Mexico, where the carmaker plans to invest as much as $1 billion over three years.